Get an instant quote and book your transfer to Champoluc from Turin Airport. As well as airport transfers from the Turin to Champoluc, Ski-Lifts also operate transfers from nearby airports, including; Innsbruck, Geneva, Bergamo, Milan Malpensa, Milan Linate and Zurich. Remember to use your loyalty points for a discount on your next transfer! Getting an airport transfer to Champoluc could not be more simple with Ski-Lifts. You will have peace of mind that your driver will be waiting for you the moment you step off the plane, ready to take you to Champoluc. Book online today using our easy to use quote generator and booking system. Get a quote now! Ski-Lifts offer a wide range of transfers, to suit all budgets, to Champoluc and many other ski resorts in Italy. 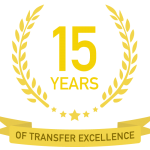 Get an instant quote and book your transfer of choice. Choose from a private transfer to Champoluc and for those travelling in large groups, book a coach transfer to Champoluc. 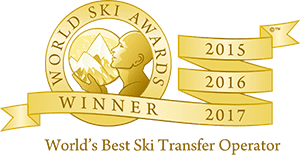 You can book a transfer to Champoluc from Turin Airport, as well as other airports and train stations in Italy, Switzerland and Austria. The normal Champoluc transfer time from Turin Airport is just over 1.5 hours, but Champoluc transfers can take longer at peak times. – For your return journey, we will send you a text message the afternoon before you are due to depart confirming your exact pickup time from your accommodation for your transfer from Champoluc to the airport. When you visit Champoluc, the largest ski resort in the Monterosa area, you’ll be amazed by the stunning glacier views and the great, uncrowded slopes. Champoluc is ideally located for access to the massive Monterosa ski area, giving you unrivalled access to one of the most beautiful ski areas in the world. Here you can experience wooded terrain, dramatic mountain peaks, and unparalleled skiing. The resort is perfect for intermediates and experts, as it offers mostly red runs. You’ll also love the vast opportunities for off-piste and heliskiing. If you’re a beginner you’ll have a great time on the easily accessible slopes in Antagnod. During the winter, the weather’s quite cold and temperature lies around -15 to -20 °C, thanks to the resorts high altitude. Who is Champoluc Suitable For? Champoluc is a classic ski resort with the charm of an authentic Italian village. Aside from that, this nice village offers you one of the best tourist experiences in the area. Champoluc is a lively little town with several, family-run bars and restaurants. It’s hard not to find a great restaurant, as many of them are located within hotels. Craving après ski? Don’t worry – you’ll find loads of fine bars and pubs. Even though Champoluc has quite a small population, there’s a wealth of accommodation. Whether you are looking for three-star hotels, ski chalets for large groups, or apartments close-by to the ski lifts, you will no doubt find it in Champoluc. There are plenty of Champoluc ski schools, including; comprehensive ski schools, section ski schools, snowboarding schools and alpine ski schools to choose from in Champoluc. Book your ski hire in Champoluc.